Some friends of mine recently got a pet dog. Cute and cuddly as he may be, it's not easy looking after an animal. He runs wild, he barks, he's far from toilet trained, and he speaks about as much human as I speak dog. Training takes time and patience but the results are rewarding. 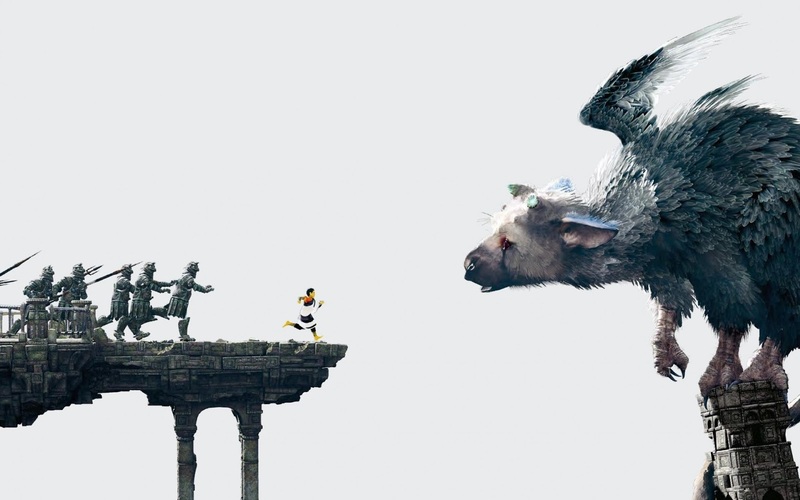 Video games have long had a fascination with pets, but The Last Guardian, from the mastermind behind Ico and Shadow of the Colossus Fumito Ueda, is the new standard. 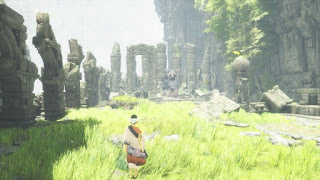 It brings together the best of those two games - the unique pairing and 'escape the castle' theme of Ico and the grand creatures of Shadow of the Colossus - and tasks a young boy with befriending a strange beast known as Trico. This isn't just a squiggly polygon whose virtual poop needs cleaning up, nor a bouncing puppy whose fluffy face needs stroking with a stylus. Trico is a mythical amalgam of cat, dog and bird, but he feels like a real beast, one that needs regular feeding, petting and training. The animation and AI combine for one of the most expressive and emotive virtual characters yet seen: the way his mournful eyes follow the boy's movements, his howling when they become separated, his gleeful bounding upon reaching an open space, his little wiggle as he prepares to leap. More so, it's the warm and charming bond between the beast and the boy that makes The Last Guardian so compelling, cleverly expressed through animation alone. They are, unexpectedly, dependant on one other. The boy feeds the beast special barrels of goop, removes spears to heal his wounds, and bravely leads the way when Trico is tentative to proceed. In turn, the beast can destroy the mechanical armoured enemies that litter the environment and can leap to new areas with the boy clinging on to his feathery back. The game's opening wonderfully portrays the wariness of these two characters around one another; by the end their relationship is symbiotic, their fates forever intertwined. Around this concept, SIE Japan Studio have built a beautiful environmental puzzle game, with imposing constructions to be navigated in a surreal world of crumbling ruins drenched in stark sunlight. It's a marvel of stone and green, mist and bright light, towering ruins and rustling leaves. Stylistically it is breathtaking, even if at times it shows its PS3 heritage. However, the game does frustrate when it remembers it's a game and not just a pet simulator. The sense of weight and momentum add to the realism of the animation, but the controls are imprecise and too often lead to death. 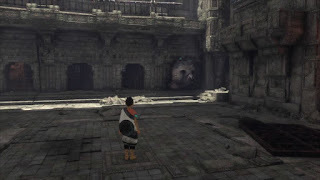 The game's camera is also utterly untameable, struggling to balance confined spaces with Trico's might. 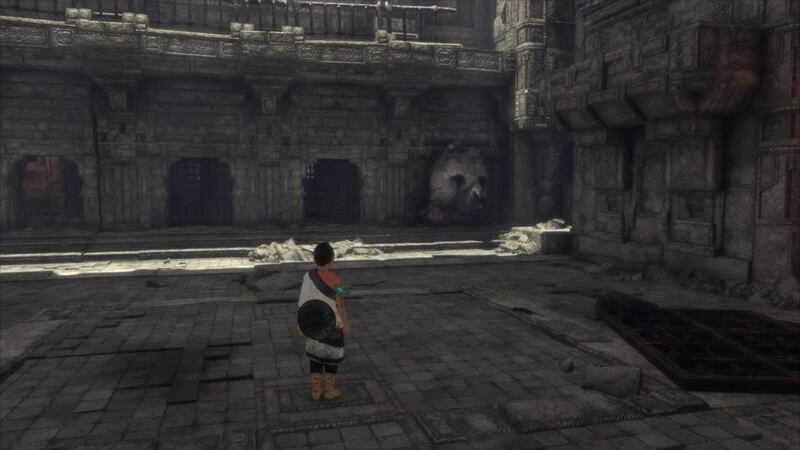 And while Trico is a wild animal, puzzle solving is often stalled by his lack of understanding commands. It's a double-edged sword: what makes him feel real results in gameplay that doesn't run smoothly. Similarly, the boy is helpless to defeat enemies alone meaning much of the game is taken out of the hands of the player - an irritating decision that nevertheless forges a dependancy on the beast. Hints are sometimes overstated, but on the whole the game has the same minimalist presentation that you'd expect from Ueda. On the one hand its narrative is intriguingly ambiguous, on the other it's bafflingly obtuse, sometimes illogical and requires plenty of trial and error. Yet the game's weaknesses are also its greatest strengths. 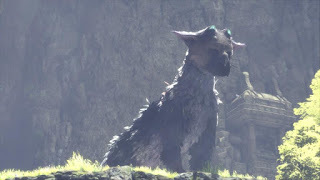 The minimalist presentation and reliance on Trico's intelligence are stylistic choices that lend the game its enchanting sense of character, its poetry, its raison d'être. 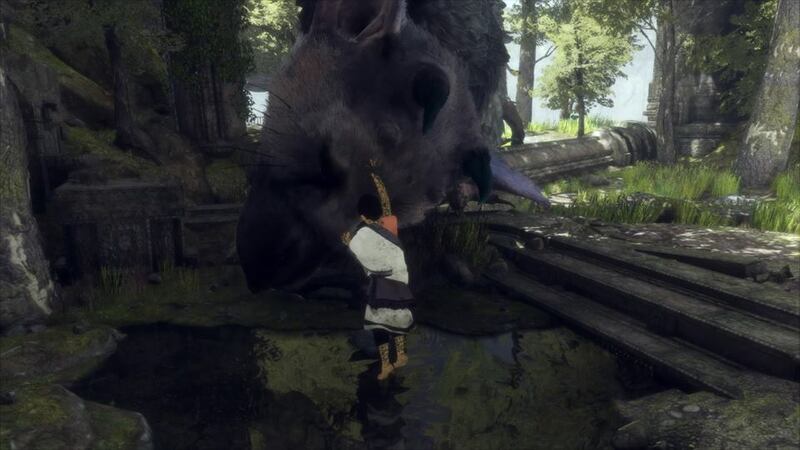 Just like a real pet, the boy affectionately strokes Trico's nose as the beast nuzzles against him and all is forgiven.